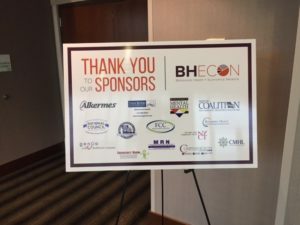 On June 26, the Missouri Coalition for Community Behavioral Healthcare, in partnership with the Behavioral Health + Economics Network (BHECON), hosted a forum on how Missouri’s crisis intervention system has improved outcomes for individuals in crisis in the emergency room, relieving the burden on emergency department workers and law enforcement officials. 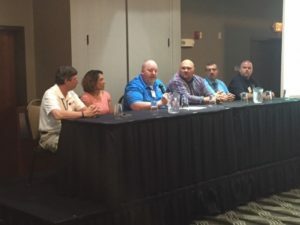 The forum, “Improving Missouri’s Crisis System: Emergency Room Enhancement Programs,” provided an overview of the current intersection of emergency departments, law enforcement and the behavioral health system in Missouri. The forum explored gaps and challenges in the current system and potential policy changes needed to support a better continuum of care. Speakers from hospital emergency departments discussed the opportunities available to train workers, the cyclical effect of frequent emergency room usage instead of community-based mental health treatment, and the importance of collaboration in helping individuals experiencing a mental health crisis. Participants heard from experienced executives and clinicians from community mental health clinics and hospital emergency departments, law enforcement, and consumers about how the Emergency Room Enhancement Program improved crisis services, especially in emergency room settings. 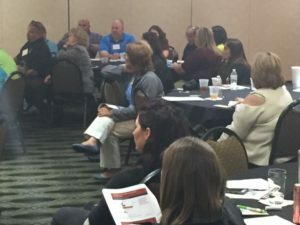 Data presented at the forum showed that Missouri has a high rate of hospitalizations of patients with serious mental illness, while the state’s mental health agency spending per capita on community-based treatment programs is low in relationship to the U.S. average. The number of hospitalizations is highest for adult patients with a principal diagnosis of major depressive disorder. However, patients with schizophrenia have a much higher rate of hospitalizations. I addition, the average hospital stay duration for adult patients with serious mental illness is high compared to all hospital stays, especially for patients diagnosed with schizophrenia. The average length of stay for a schizophrenia hospitalization in Missouri was longer than those for many physical ailments, including kidney transplants, heart attacks or hip replacement surgeries. Almost half a million adults in Missouri experienced Serious Psychological Distress in the past 12 months and many of those people end up in the emergency room or in jail. The result has been that total hospital charges in the state for hospitalizations for serious mental illness together exceeded half a billion dollars in 2014. The data additionally show that people living with mental illness are more likely to encounter the criminal justice system, resulting in a large number of arrests and incarcerations. In Missouri state prisons, approximately 28% of prison inmates previously have been diagnosed with a serious mental illness, which is high compared to the overall U.S. prison population. The overall annual cost of incarcerating people with serious mental illness in state prisons exceeds $200 million. These data demonstrate the need for more innovative approaches to crisis intervention and the importance of building partnerships such as those that have been formed through the Missouri Model of Crisis Intervention. Missouri has become the national standard for partnerships between law enforcement, behavioral health agencies, and local community stakeholders for helping individuals with mental illness and substance use disorders who are in crisis. The Excellence in Mental Health Act, Mental Health First Aid, and Missouri’s combined approach in creating a statewide crisis system has made a positive difference in the way the state manages people in crisis. 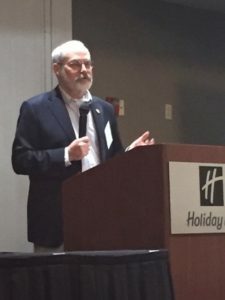 But despite the successes of initiatives such as Crisis Intervention Teams (CIT) Councils, Community Mental Health Liaisons (CMHLs), Emergency Room Enhancement (ERE) programs, and local efforts such as the Stepping Up Initiative, levels of need remain high and far too many Missourians continue to fall through the cracks—a call to action for advocates and policymakers to continue to seek new and creative ways to provide a stronger mental health care delivery system. Since March 2017, Community Mental Health Liaisons made 28,252 referrals from law enforcement and the courts into community-based treatment programs. Panelists from community mental health clinics, law enforcement agencies, hospitals, and consumers of the Emergency Room Enhancement Program discussed the opportunities available to train emergency department workers, the cyclical effect of frequent emergency room usage instead of community-based mental health treatment, and collaboration among the many individuals called upon to help individuals experiencing a mental health crisis. They noted that as budget cuts have continued to impact the treatment capacity of community behavioral health clinics, other less-experienced community public servants have become the front line in handling mental health crisis situations. They also emphasized the importance of communications among the various players in the system and how it has led to innovative approaches to enhance the crisis services in place and the impact on consumers of robust crisis intervention, specifically in emergency room settings. The Emergency Room Enhancement Project has decreased emergency room use, hospitalizations, homelessness, and arrests, and increased employment among individuals experiencing a mental health crisis.